One in every 25,000 births are affected by a brittle bone disease called osteogenesis imperfecta. It is caused by errors in the developing baby’s DNA, where the collagen supposed to give bone its structure is either missing or of poor quality. Researchers led by Sweden’s Karolinska Institute and by Great Ormond Street Hospital in the UK will perform the first clinical trial to inject fetal stem cells into babies still in the womb to lessen the symptoms of incurable brittle bone disease. The trial will begin in January next year. The disease can be fatal for babies born with multiple fractures. Even those who survive face up to 15 bone fractures a year, brittle teeth, impaired hearing and growth problems. The trial is hoped that the stem cells will be able to transform into a range of tissue and lessen symptoms of incurable brittle bone disease. “This is a very serious disease. Our objective is to see if in utero (in the womb) stem cell therapy can ameliorate the condition and the number of fractures,” said Dr. Lyn Chitty, from Great Ormond Street Hospital. A type of stem cell which develops into healthy bone, cartilage and muscle will be infused directly into the affected fetuses. 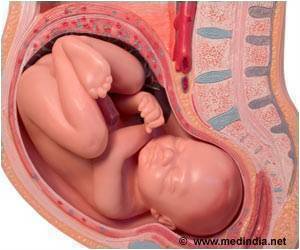 Fifteen babies will have the infusion in the womb and again after they are born. A further 15 will only have the treatment after birth and the number of fractures will be compared with untreated patients. “It is the first in-man trial and, if successful, it will pave the way for other prenatal treatments when parents have no other option,” said Dr Cecilia Gotherstrom, from the Karolinska Institute. She said people with muscle disorders such as Duchenne muscular dystrophy and other bone disorders could one day benefit from such therapies. A fetus is more likely to accept transplanted stem cells than a baby, because its immune system has not yet developed fully. This also means larger doses can be administered. All participants will receive booster doses every six months until they are 2 years old. Götherström says she is hopeful of good results since she has already treated two fetuses with the condition. Now aged 2 and 13, the treatment helped them to grow better, without any rejection of the transplanted cells.